The newly revamped Matheson FCE Certification Program takes place over 4 full days with 3 days of lecture combined with practice and documentation experience and culminates in students performing FCE’s in small groups with the clinical support of Internationally recognized instructors to help participants realize skills at a higher level. The Matheson FCECP will teach participants how to be “Thinking Evaluators” using evaluation instruments that are peer reviewed and published, inexpensive, court tested, widely accepted in the field and backed by published and peer reviewed reliability and validity studies. Students will be trained to plan, administer, and report an individualized FCE that meets the reliability and validity requirements and high standards of the practice hierarchy of industrial rehabilitation. Students will replicate the FCE process via a hands-on case study practicum under the guidance of the instructor. Administration of the FCE protocol is followed by a write-up of test results. Presentation and critique of the FCE report completes the practicum day. 1. Students will demonstrate comprehension of the FCE planning method through completion of Exercise #1 in the Documentation guide followed by instructor lead review and discussion. 1. Students will demonstrate their ability to determine the purpose of the FCE and the mechanisms to elicit this information through the FCE planning phase in preparation for FCE performance during the Practicum day. 1. Students will identify key components of the intake interview process (to include the job demand and Functional Tolerance Interview) and perform an interview in small groups during this educational module. This will process will be planned and repeated as part of the FCE Plan during the FCE Practicum day. 1. Students will list 5 tests and tools used for RPDR testing, and will demonstrate administration during small group case study work during this teaching module. Additional assessment of their understanding and competence will take place during the FCE Practicum day. 1. Students will list 5 tests and tools used for PE testing, and will demonstrate administration during small group case study work during this teaching module. Additional assessment of their understanding and competence will take place during the FCE Practicum day. 1. Students will list contraindications for FCE testing and important MSS components for inclusion in the FCE during small group exercise and classroom discussion. Evidence of understanding of this concept is further supported in the FCE practicum planning and FCE performance on Practicum day. 1. Students will administer dexterity tests using the appropriate protocol manual during the Dexterity Testing lab. The student will perform, analyze and score the dexterity tests performed during the FCE practicum on Practicum day. 1. Students will demonstrate their understanding of MET test administraton during the MET Testing lab. These skills are further supported in the FCE practicum planning and the FCE performance on Practicum day. 1. Students will correctly identify each of the 3 lift tests presented in the lecture module for material handling. This identification will be assessed through the critique of the students FCE plan related to their case study for the FCE Practicum day. 1. Students will develop a work simulation circuit consistent with the identified goals of their treatment plan for FCE case study. The work simulation circuit will be reviewed by the instructor and observed during the FCE practicum day. Attainment of outcomes is assessed throughout the five-day course via participant instructor interaction, individual design of a comprehensive testing protocol based on a case study, participation in a full-day practicum, and group presentation on the final day of the program. Beginning on the first day of instruction, two case studies will be used to walk through the process of planning and administering a low-back focused evaluation and an upper extremity evaluation. At each step of the learning process decision making, data collection, interpretation and report writing will be emphasized. To reinforce the methodology and techniques learned throughout the course, video of the entire functional capacity evaluation process will be available through the Matheson web site. Students may visit the site to review evaluation tests and techniques at their own pace. In a further effort to support graduates, an FCE report template will be distributed to course participants. Charles Alexander, OTR/L is a licensed Occupational Therapist in the state of Vermont and New York. He Graduated from Utica College in 2002 and has worked primarily in the arena of injury prevention, ergonomics, industrial rehabilitation and FCE. 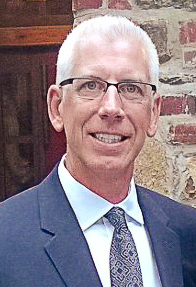 He is a Certified Ergonomic Evaluation Specialist (CEES) and has experience in both large and small business injury prevention efforts and ergonomics. 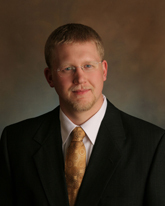 His clinical focus has primarily been working with individuals who have work-related injuries. He works closely with several employers including (Green Mountain Power, Rhino Foods, Perigo, Twincraft, Velco, Bombardier Transportation, Volvo-Nova Bus, Mold-Rite Plastics and City of Burlington VT), in providing a mixture of onsite ergonomics, post offer/pre-employment testing, job analyses, and preventative programs that promote self-treatment and management. He is EPIC certified and is contracted in the legal arena as an expert witness. As a consultant, Christina is involved in various areas of occupational rehabilitation for companies nationwide. 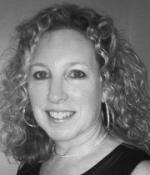 She has specialized in OT for 24 of her 25 years in practice. Ms. Howe has been passionate about the field of Occupational Rehabilitation for 34 of her 35 years in practice. Her experience includes starting, designing and running two Occupational Medicine and Rehabilitation facilities offering the full scope of practice from Occupational Medicine through to Physical and Occupational Therapy, FCE’s, work hardening/conditioning and ergonomics, job analysis and on-site preventative services. An Instructor for Matheson for 25 years, she has trained thousands of professionals worldwide. As the lead instructor for the Matheson FCE Certification Program she has been instrumental in leading the curriculum development for the FCE Certification program in collaboration with a team of experts from the US and Canada. She is chair of the Matheson Certification Committee and continues in practice in Bedford, NH performing FCE’s for Medical-Legal and worker’s compensation cases. As President of Matheson Ms. Howe looks forward to continuing the growth and development of the Matheson System while training high level Thinking Evaluators around the world. She continues her clinical practice in Bedford, NH performing ergonomic services for local companies and FCE’s for medical/legal and worker’s compensation cases. 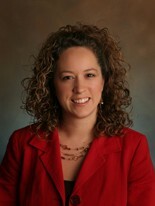 Erica is co-owner of Injury & Health Management Solutions Inc. (IHMS), near Burlington, Vermont. IHMS provides on-site services at such companies as Burton Snowboards, Green Mountain Coffee Roasters, Bombardier Transportation, Vermont Teddy Bear, Goodrich, and The Lane Press. These services include physical therapy, ergonomic evaluations, all levels of injury prevention and ergonomic training, direct problem solving of musculoskeletal disorders (MSDs), wellness, Post-Offer employment screenings, FCEs, ADA job analyses, and computer ergonomics. An instructor in industrial rehabilitation around the world, Louise has been guiding patient recovery in orthopedic/manual therapy and industrial rehabilitation and ergonomics for more than 20 years. She specializes in the evaluation and treatment of musculoskeletal disorders that limit people from working at their maximum potential. 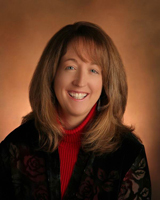 She is a co-owner of Injury & Health Management Solutions Inc. (IHMS), located in Colchester, VT (near Burlington). IHMS provides on-site services at such companies as Burton Snowboards, Green Mountain Coffee Roasters, Bombardier Transportation, Ben & Jerry’s, State of Vermont Agency of Transportation, and Twincraft Soap. These services include onsite physical therapy, ergonomic evaluation, all levels of injury prevention and ergonomic training, direct problem solving of musculoskeletal disorders (MSDs), wellness, Post-Offer employment screenings, ADA job analysis, and computer ergonomics. Neil currently holds certifications through Matheson &amp; Associates in Functional Capacity Evaluation &amp; Ergonomic Evaluations, as well as a National Certification in Workers Compensation. He currently is registered as a Workers Compensation Healthcare Provider compensation certification in Delaware / Maryland. 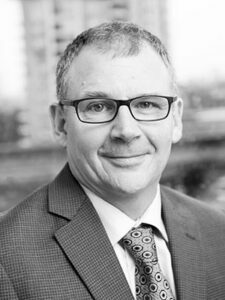 Neil has concentrated his practice as an Occupational Therapist since 1994 to the field of work injury with concentration on acute rehabilitation/ work conditioning, return to work programs, functional capacity evaluations and ergonomics. He daily works closely with all parties in the field of workers compensation including Physicians, Risk Managers, Employers, Attorneys, Occupational Medicine Physicians/ Nurses, Nurse Case Managers assisting in case resolution as needed. 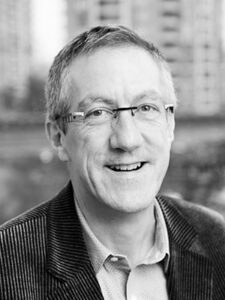 Wayne is a founder and director of OrionHealth, which has seven clinics in western Canada. He works out of the OrionHealth Progressive Rehab office in Burnaby, BC, where he is the senior consultant occupational therapist. His primary areas of clinical practice are medical legal functional capacity and cost-of-care evaluations. He has testified as an expert witness in the Supreme Court of British Columbia many times. Wayne has coauthored a number of scientific research studies pertaining to functional capacity testing. Gerard has over 25 years of experience in a wide variety of physical medicine, mental health, and vocational settings and has practiced in the South Pacific, Britain, and in North America. Today, he is a senior consultant occupational therapist and founding member of Progressive Rehab (Orion Health) in Vancouver, BC. Matheson definition of RPDR. In-depth analysis of the “Objective Evaluation of Pain” during: Intake, Functional Tolerance Profile, Sorts, Pain Questionnaires and Musculoskeletal Evaluation and Rapid Movements Tests. Matheson definition of PE. In-depth analysis of: Competitive Test Performance ©, Maximum Voluntary Effort (or Isometric Grip) Testing, Rapid Exchange Grip Test Protocol, Bell Curve Analysis, Heart Rate Monitoring, Clinical Consistencies, Effort vs. RPDR. Review of Purdue Pegboard and Complete Minnesota Dexterity. Testing – protocol, procedures and norms. Practicum.